Blockchain and Distributed Ledger Technology (DLT) are a matter of time because many areas are exploring the possibilities of these technologies, which are emerging with new uses every day. Is there a place for such techniques in intellectual property laws and practices? Blockchain technology is known for the presence of encrypted currencies such as "Bitcoin" or "Ethereum". This is an open record of information that can be used to record and track transactions. Named Data Networking (NDN) is used to exchange that record and verify its integrity. The purpose of this and other distributed registry technologies is to ensure that the registry is transparent and reliable: It allows different parties to find out what will be recorded in advance in the registry and the inability of any party to change that content after it has been registered. Each transaction or "block" is sent to all participants in the network, and each "node" in the network (i.e., each participant's computer) must be verified by solving a complex mathematical transaction. Once the block is verified, it is added to the record. From the information perspective, the real innovation of distributed record technology is that it ensures the integrity of the registry by subjecting it to collective control which does not require central authority. In other words, many computers hosting the blockchain verify and validate transactions. Therefore, this technique is "almost invulnerable" because changing any information in the registry requires the hacker to launch a simultaneous cyber attack on all copies of the record (approximately). Although the traditional concept of a blockchain is an open, non-existent network, there are "private" cluster-based platforms that allow only some members to manage the registry. Since distributed record technology creates a series of information that is safe, dated, irreversible, and unchangeable, it has found applications in the areas of trademark protection, enforcement, and marketing and consumer awareness. With the advent of new uses almost every day, these technologies have exceeded the world's boundaries of financial technology. They are used to track goods along the supply chain. This is a feature of many sectors that are heavily dependent on intellectual property and are interested in dealing with product tracking and counterfeit goods and parallel markets, including pharmaceutical, automotive, luxury and consumer goods. Many different industries accept blockchain technology due to its many potentialities, capabilities, and uses. Different types of data can be added to a series of blocks: they are not limited to encrypted currencies, transactions and contractual information, but also data files such as images, videos, and designs. This is only the beginning, as the development of this technology continues with the emergence of new types of distributed records such as a hash graph, which seeks to solve the problem of keeping pace with the expansion of transactions. Development and enforcement of agreements related to intellectual property rights (IPRs); Such as licensing agreements or exclusive distribution networks, through intelligent contracts; and timely transfer of payments to rights holders. Blockchain or Cluster-chain technology can also be used for authentication, certification and tracing purposes in order to detect or retrieve counterfeit, stolen or imported goods from parallel markets. There is considerable potential for the management of intellectual property rights in blockchain technology. Registering intellectual property rights in a distributed registry rather than a traditional database would change to "intellectual property rights". This is an idea that Intellectual property offices should use the techniques of records distributed in the establishment of "intellectual property rights and artificial intelligence” as a centralized system managed by the competent intellectual property office and an irrevocable description of the lifecycle of all registered intellectual property rights. The record must be accompanied. Such details may include the date of the first registration or commercial use of any trademark; the date of the license of any design, patent, assignment, otherwise it will also provide a practical solution for data collection, storage and availability requirements. With the facility of verification of intellectual property rights, there will be many benefits of the possibility of tracking the entire life cycle of the rights. It can also simplify procedures for proper diligence in transactions relating to intellectual property properties, such as in mergers and acquisitions. The privacy issue of intellectual property rights holders can be addressed by the system under a prior consent mechanism. A record of the owner would become a potential reference to trademark owners for their rights and to what extent those rights are used in the market. This can be especially useful in those countries where proof of first or actual use is required or where the scope of usage is to be established, particularly in disputes and other actions concerning the recognition of famous marks or the response to a request for cancellation of a non-use mark. For example, gathering information on the use of a trademark in an official trademark registry based on blockchain technology could allow the IP offices concerned to obtain near-instantaneous notifications. This will provide reliable and dated evidence of the actual use of the trademark in the market - two key factors to demonstrate first-use, actual use, or gain a distinctive/secondary meaning or brand reputation. Similarly, distributed record technology can be used to detect defensive detection technologies to interfere with previous techniques in order to prevent third parties from obtaining patents for such technologies. Blockchain technology can also play an important role in the context of unregistered IP rights such as copyright and unregistered design rights, Evidence of their creativity, use and eligibility and their status. Deleting the original design or function and the details of its author on a cluster-based platform will result in the creation of a dated record and an authoritative guide to demonstrate the above elements. Many start-up companies in cluster technology are developing databases based on distributed log technology as a useful practical solution for copyright protection as well as digital rights management. We hear a lot about the concept of "smart contracts" in the context of blockchain technology and other distributed record technology. Some cluster-based platforms allow the recording, implementation, and monitoring of contractual data ("smart contract execution"), which may be useful in the area of digital rights management and other IP-related transactions. Smart contracts can be used to prepare and implement intellectual property agreements, such as licenses, and allow the timely transfer of payments to rights holders; intellectual property "smart information" on protected works, such as songs or images, can be encoded in digital format. KODAKOne platform is based on block-chain technology to manage image rights and its own encrypted currency. The record of the owner, licensor etc. will enable all participants in the supply chain, including consumers and customs authorities to verify the originality of the product and distinguish it from the counterfeit product. Cluster-based records, which contain information about intellectual property rights, allow the source to be authenticated as it can record objectively verifiable details about the date and place of manufacture of the product, details of the manufacturing process and the sources of the raw materials used. These types of cluster-based solutions are rapidly expanding and enable users to verify product authenticity and provide guarantees to companies, authorities, consumers and insurance companies. The product may be supplied with stickers, seals or security systems (visible or hidden) that are anti-tampering and erasable and related to blockchain technology. The most common applications of distributed record technology can play an important role in combating counterfeit goods. For example, a mark owner can inform the customs authorities of the safety characteristics of the original products, and the absence is an easy way for those authorities to disclose counterfeit products. In addition, linking these mechanisms to blockchain technology has enormous potential to tell consumers about the risks of counterfeit goods and the methods of verifying the authenticity of the products they purchase. This technology can also be used for certification marks to ensure that products meet specific criteria or standards, such as the wool mark, which certifies that the goods are 100% woolen. Markers can benefit from the ability to trace goods through a series of unchangeable blocks to enforce contractual distribution commitments, identify gaps in their product distribution system, as well as detect parallel imports and identify parallel market activity. This mechanism can also be used to ensure that products meet certain regulatory requirements, such as those applied in the pharmaceutical sector, and product safety checks. Recently, many patent applications have been filed for inventions related to blockchain technology because of their enormous potential. Banks and financial institutions were the principal depositories for such applications. But with the proliferation of blockchain technology, a wide range of sectors are filing patent applications. The majority of patent applications concerned methods for enhancing or using the original blockchain technology as revealed by its supposed mysterious inventor, Satoshi Nakamoto. Some call for blockchain technology to be open by licensing its code under Open Source Licenses or creating patent groups. Blockchain technology, like other promising new technologies, has not been delivered by patent applicants, for example, the Chamber of Digital Commerce - an American defense group promoting the emerging industry based on blockchain technologies. The Chamber recently established the Blockchain Intellectual Property Council (BIPC), which aims to develop a defense strategy to deter patent collectors of blockchain technology. However, the unknown identity of the block-chain technology did not impede the rapid spread of the technology. With the proliferation of blockchain technology, industry workers and technology developers will need to collaborate on interoperability standards and protocols. 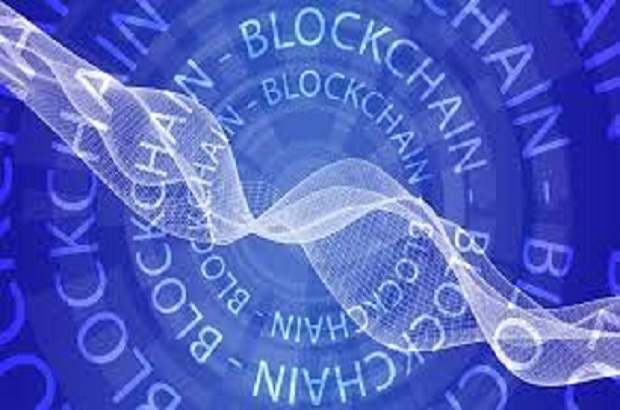 Various government agencies and IPR registries, such as the European Union Intellectual Property Office (EUIPO), are conducting research into the technical potential of the blockchain; the European Commission plans to establish an EU Blockchain Observatory, and the US Congress recently established the Blockchain Working Group. Many organizations discuss global standards for self-executing contracts. Thus, it appears to be only a matter of time before the law addresses possible obstacles to the generalization of the use of block-chain technology such as the applicable law or judicial system, the enforcement of smart rights, the question of data security and the inviolability of personal life and the adoption of reliable rules and definitions on smart contracts. 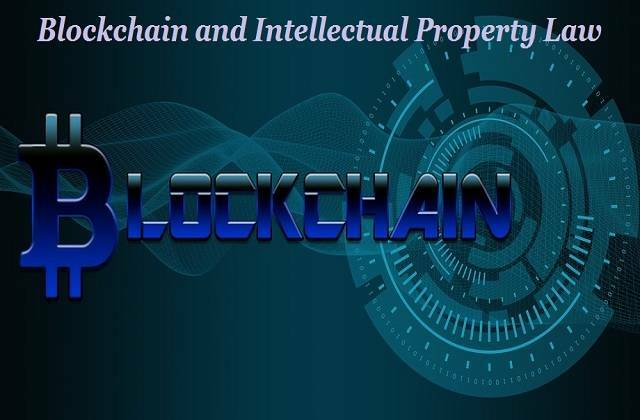 The blockchain technology then enters the world of intellectual property laws and practices.